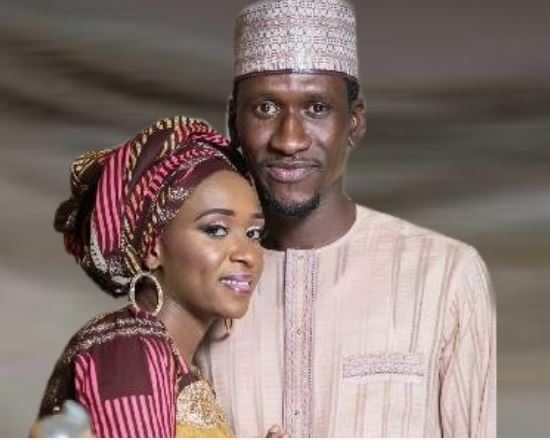 A witness, Habib Gajam (aka Gidado), has revealed fresh facts emerged as to how Maryam Sanda, stabbed to death her late husband, Bilyamin Bello, the son of a former National Chairman of the Peoples Democratic Party (PDP), Mohammed Haliru Bello. The revelation was published in the Lifestyle Section of arewa.com.ng. Gajam, who is a family friend, gave the graphic details of what transpired and how the embattled wife had tried to cover up the act. According to Gajam: “Today, I witnessed the most wicked and shameful display of arrogance in Bilyaminu’s death case. At about 9 to 10p.m. last night (Saturday), tension started to build between Bilyaminu and his wife, Maryam, at his residence. Maryam demanded a divorce with the threat of cutting off his manhood. Ibrahim Aliero, Bilyaminu’s friend (in whose instance the drama started) intervened four times to stop Maryam from stabbing her husband. “Ibrahim called Auta (Maryam’s uncle) and Abba (Bilyaminu’s cousin), who had left the house moments before the drama started, to come and intervene. After a short calm, Maryam broke a bottle of groundnut and attempted to stab Bilyaminu, again, but this time he held both her hands and struggled to take the bottle from her, injuring himself in the process. Unrelenting and wild, she bit his finger. “Uncle Auta had arrived this time to calm the situation. They both committed to Uncle Auta to let go of the grievances (at least for the night). After the situation had become calm, Bilyaminu and his friend went to the Pharmacy to get his hand treated from the bite he sustained from Maryam. They later went to the ATM and made a withdrawal to pay up the balance of a spare part for Maryam’s crashed car. By 11pm, Bilyaminu and Ibrahim had gone back to a calm home. Abba (Bilyaminu’s cousin) joined them in the living room. “They stayed till almost midnight and decided to call it a night. When Bilyaminu was seeing them off, he told Ibrahim that ‘I don’t want to go back until she’s asleep’. They called it a day. Abba and Ibrahim left. At around 2pm Sunday afternoon, family members were summoned to Maitama Hospital, where Bilyaminu was lying in a pool of his blood with multiple stabs on his chest, shoulder, a deep cut on his inner thigh and many bite wounds on his stomach. “Maryam had confessed to stabbing him to the hospital authorities. Maitama Police Station was the next point of call. At Maitama Station, where Maryam was asked to write her statement, story changed. She claimed they got involved in a fight and Bilyaminu sustained injuries from a broken Shisha pot and that she never stabbed or hit him. She was later taken to the FCT Command in Garki II for further investigation. The police commissioner instructed that the crime scene should be visited.